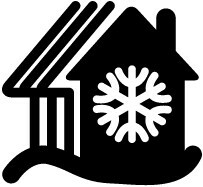 Our vacation rentals in Sweden are designated towards winter or summer rentals. Central beautiful location, Alpine pists 700m, Ski tracks 100m. 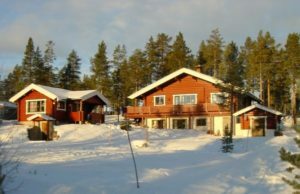 Size 90m2, 8 beds, 3 BR, Sauna, Dishwasher, Washing machine, Dryer, Fireplace, WiFi. Ski wax bldg. Central beautiful location, Alpine pists 700m, Ski tracks 100m. Size 30m2, 4 beds, 1 BR, Drying cabinet, WiFi. Ski wax bldg. 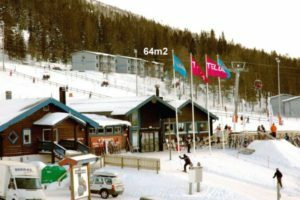 Ski-in Ski-out location, Alpine pists 50m, Ski tracks 200m. 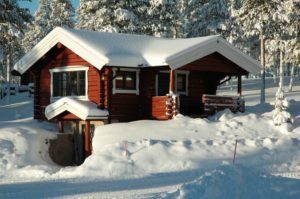 Size 64m2, 6+2 beds, 2 BR, Sauna, Dishwasher, Drying cabinet, WiFi. Quiet lakefront location in forest w. private swim beach and spectacular views. 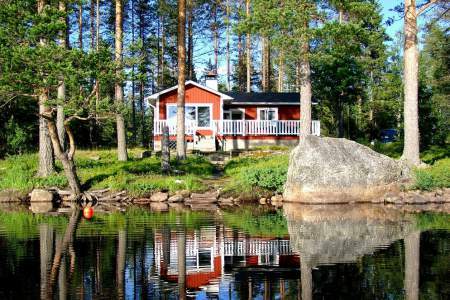 Size 65m2, 6 beds, 2 BR, Fireplace, Sauna, Pier into lake, Rowboat, Fishing. Quiet lakefront location in mountain pasture w. stunning views. 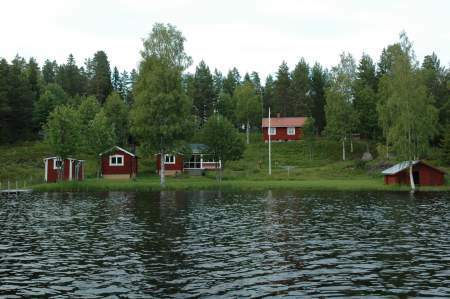 Size 65m2, 6 beds, 2 BR, Fireplace, Sauna, Pier into lake, Rowboat (motor optional), Fishing.